My favorite fruit of all time is watermelon. They are one of the reasons I love summer so much. I always make a royal mess when I eat them in slices. I usually get it all over my shirt, the juice drips everywhere, I'm spitting seeds on the ground. Ever since I had to start doing my own laundry, I'm not too inclined make that kind of mess anymore. 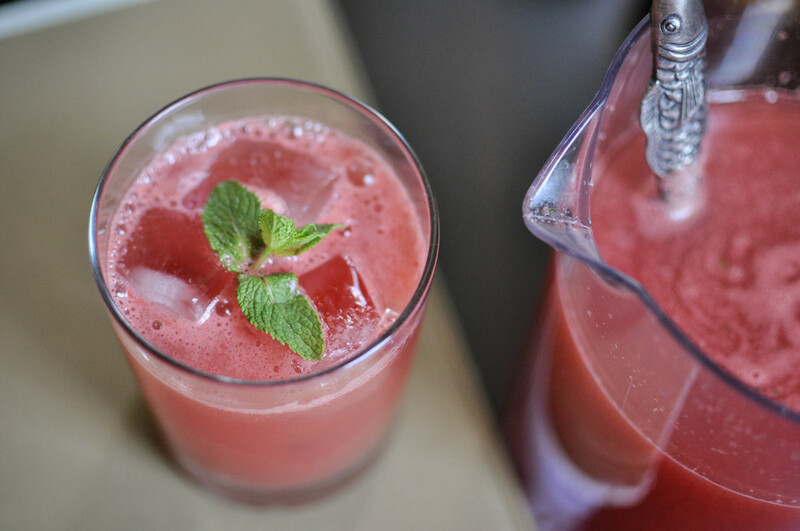 My new favorite thing during the summer is making watermelon juice, watermelon cocktails, and watermelon agua frescas. This drink is slightly sweet and wonderfully refreshing. I have been known to drink an entire pitcher in one day while relaxing at home. I think it would be an amazing addition to any outdoor picnic or dinner party. You could also add some alcohol if you're so inclined (but you didn't get that suggestion from me!) or top it with club soda for some fizz. Keeps for two to three days in the fridge. Yields about a 1/2 gallon. 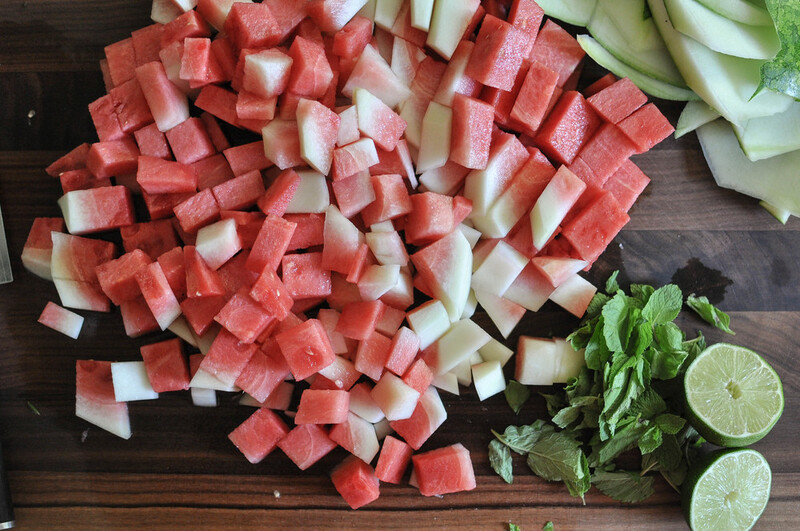 Place watermelon and mint in a blender. Blend until the mixture is liquified. Strain through a fine mesh sieve. If you don't want any pulp, strain through once more. Transfer to a pitcher and add lime juice and water. Mix to combine. 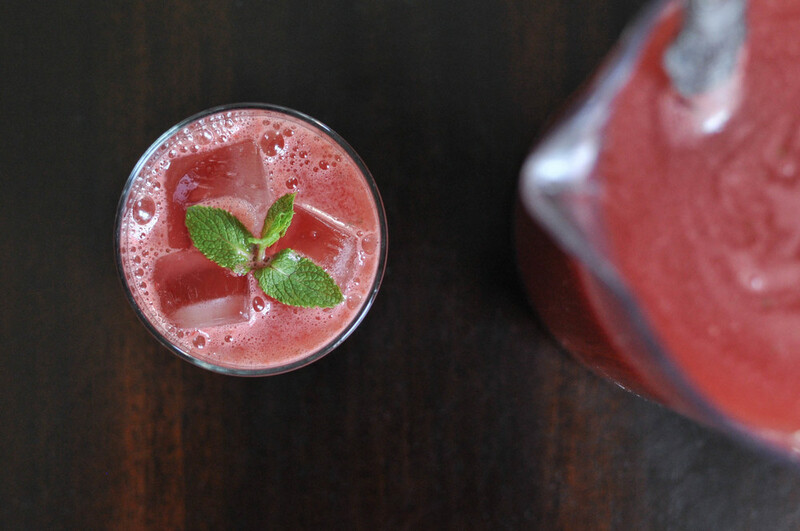 Garnish with a few mint leaves, serve chilled, and try to not drink all of it in one sitting.